In my local park I was startled by something flying at about head height, over a path. This is "all" it turned out to be, running along a tight-rope between two trees. But the nearer tree was about 5 metres away! With a light drizzle and no wind, that's clever, especially with as I've just noticed, a leg or two short. How the strand of web survived, I have no idea. The spider was up into one of the trees in a few seconds. Rather a substandard pic, sorry! It's a wonderful old Royal Park, SSSI etc, which has been there several hundred years, so it's rich in ancient and veteran deciduous trees which host a number of species endemic to the park. It deserves some decent pictures from me sometime! Hey Chris, I reckon this one is it's twin. 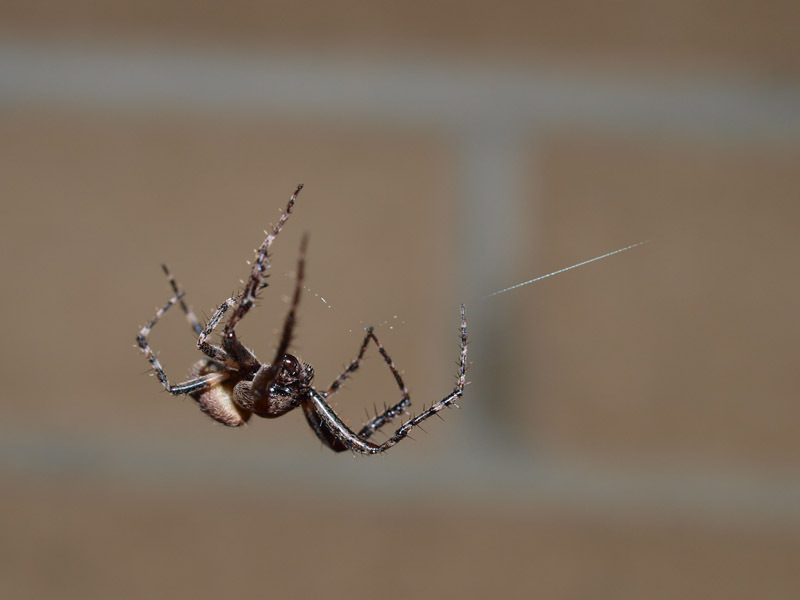 One of my favourite spots is our deck at night time when all the crawlies come out and this one was horizontally climbing along to wherever the web ended. It looks long-dead to me. 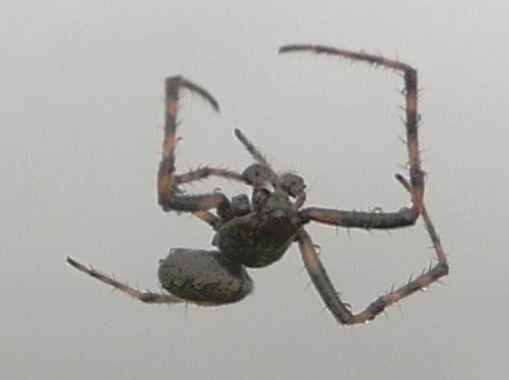 As for web lengths, Araneus diadematus, in my garden this autumn, have been daily building webs with positioning strands running up to several metters, in one, two or more directions, to the nearest trees and shrubs. Very much alive and running, Harold! Yes MissG, note yours has no raindrops! We get 2 - 3 meters around the house, I though something over 10 in this case, was remarkable. 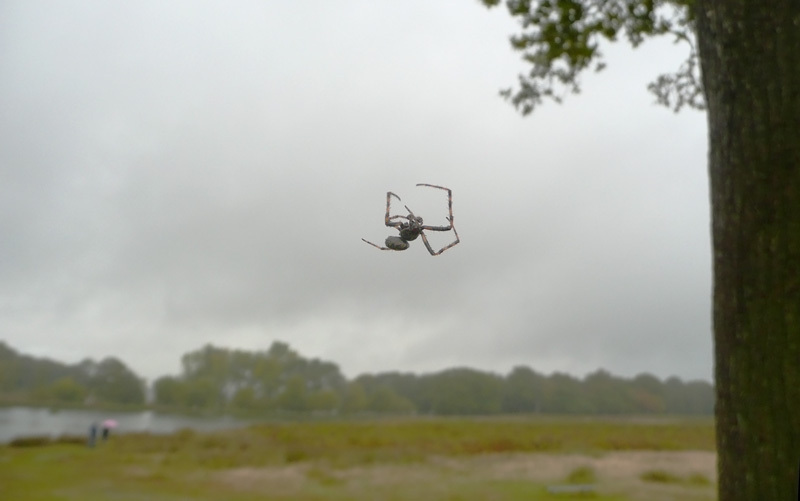 Believe spiders can "eject" material into the wind to make long distant connections.